With school back in session, it's nice to have a steady supply of good after school snacks as well as easy to grab breakfast and lunch items. 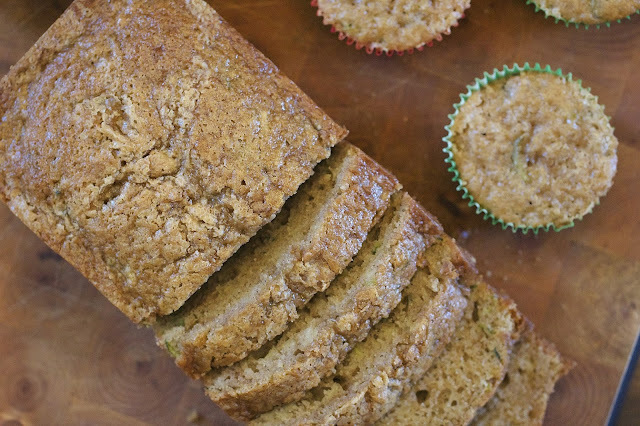 One of our kids favorite picks is zucchini bread or muffins. 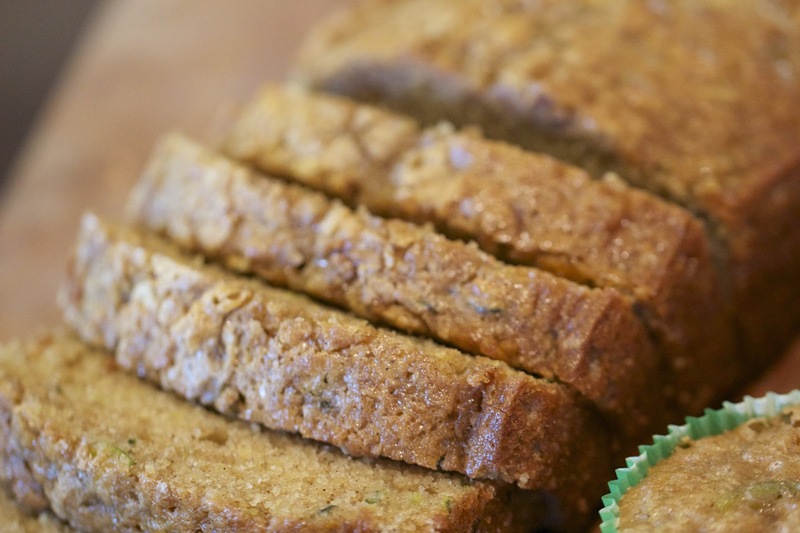 They're so easy to make a big batch of and then throw on the freezer. I know there are thousands of recipes for zucchini bread out there but this is definitely my favorite and I made it even better by adding Sabra's new Lemon Twist Hummus into the batter. 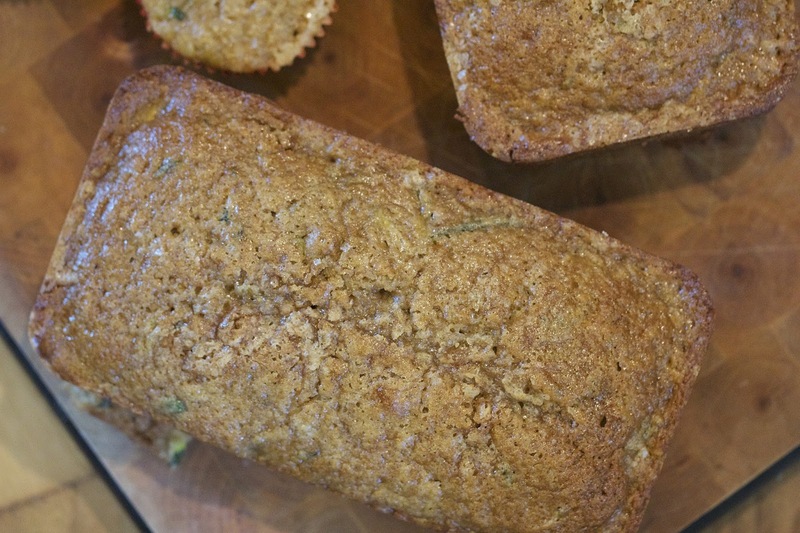 It adds just a hint of lemon flavor and this batch turned out even more moist and flavorful than before. Sift together the flour, salt, baking soda, baking powder and cinnamon in a bowl. In the bowl of a stand mixer, beat the eggs, oil vanilla and sugars together until smooth. Add the dry mixture and mix well. Stir in the zucchini and hummus until blended. Pour the batter into prepared pans. 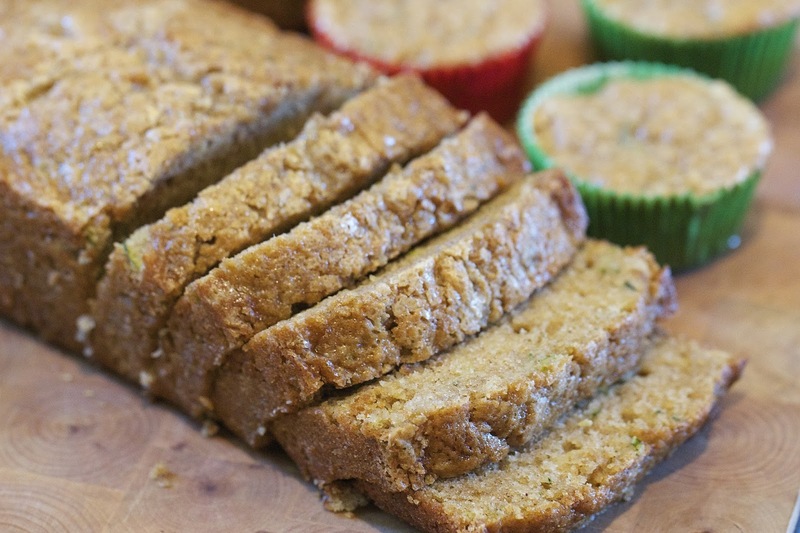 Sprinkle the tops of the loaves generously with coarse sugar. Bake for 45-60 minutes or until a tester comes out clean. Cool in pan for 20 minutes and then remove loaves from pan and cool completely on a wire rack. Disclaimer: This post was sponsored by Sabra. All opinions are my own. My sons love zucchini bread too. 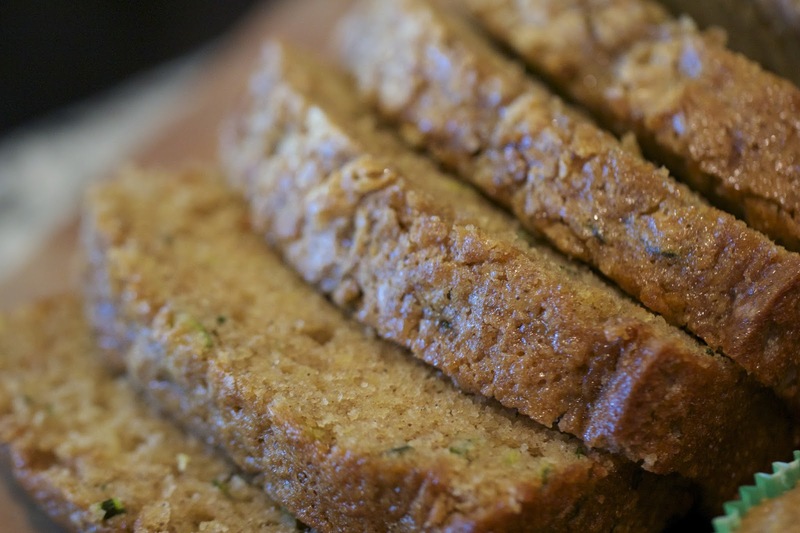 This zucchini bread looks soft and moist and wonderful. The way you have explained is very nice and understandable.so that i could grasp it easily. Online ssay writing services will help students for wring essays.Thank you so much for posting this information. Yes, it is very delicious. I love to eat bread. Thanks for the bread recipe.